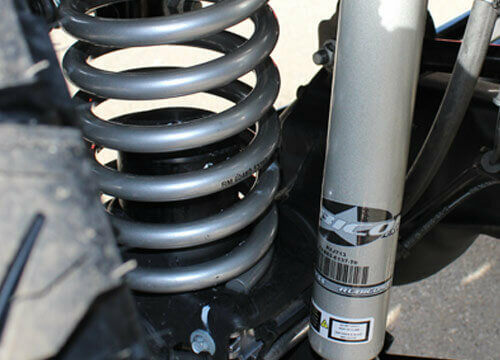 At HB Off Road Performance our Team is constantly looking for great ways to create the Gnarliest Off Road Jeep Wranglers in the World. 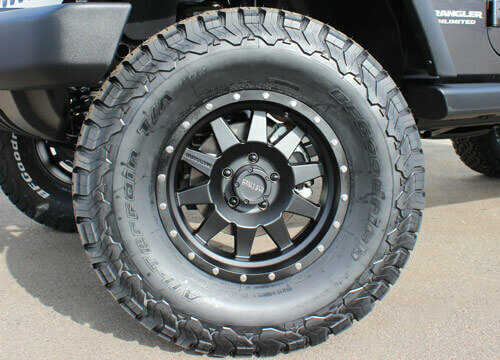 Choose from one of our already accessorized Four Limited Edition custom Jeep Wranglers, or contact one of our Customization Managers at 714-793-0920 and let us build your beast! We carry a large selection of Accessories; and many of these accessories can be financed or added in to your financing at time of purchase. 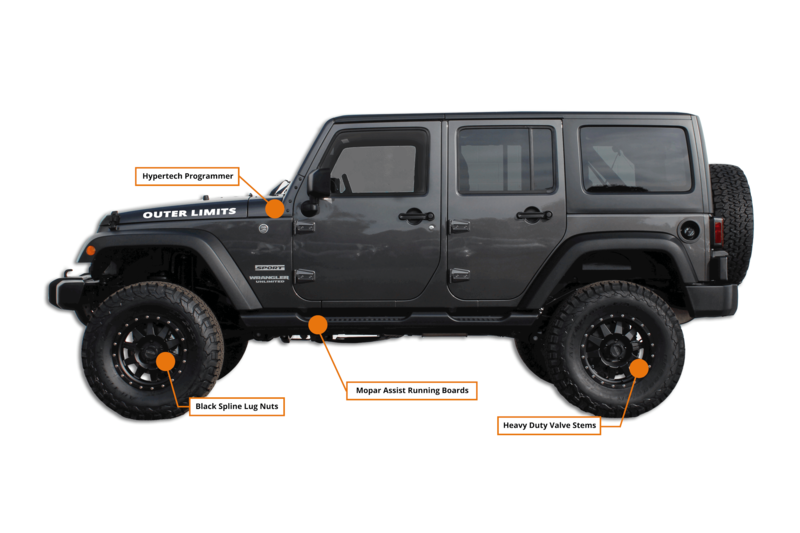 We offer the largest selection of Jeep Wranglers in California and we are confident you'll find exactly what you're looking for. 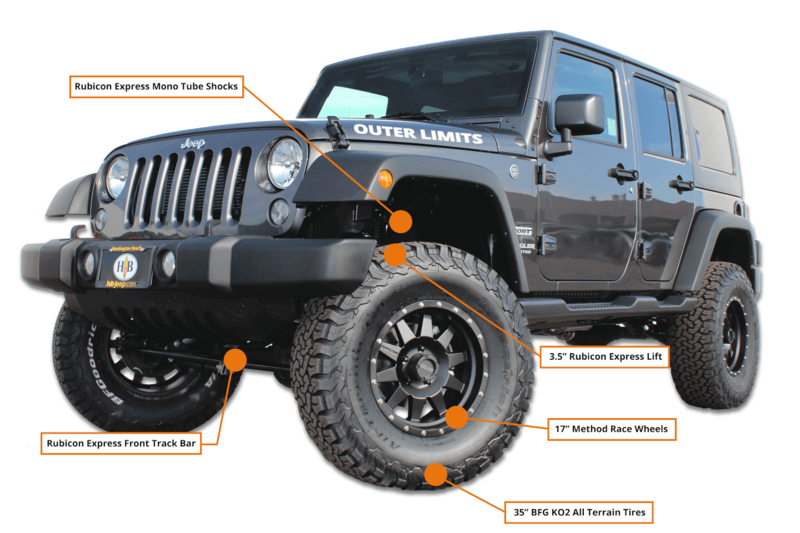 The Outer Limits Edition Jeep Wrangler comes well equipped with accessories from industry leaders. 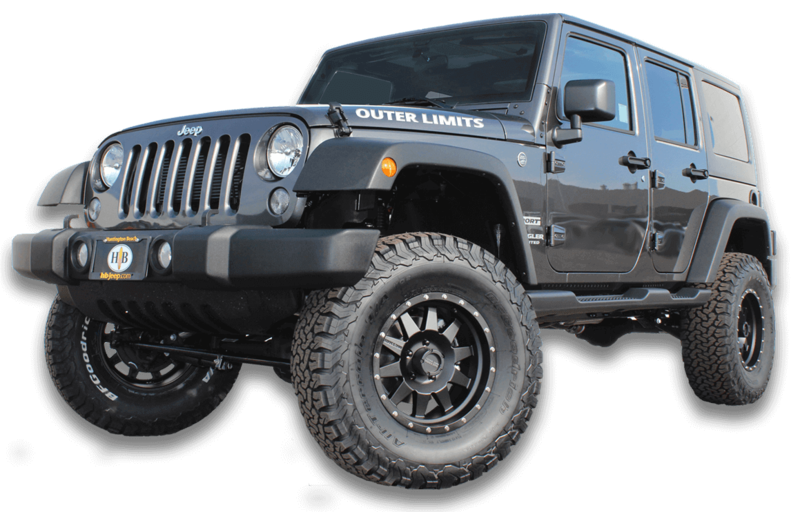 The Outer Limits package includes some of the highest quality custom parts on the market such as a 3.5" Rubicon Express Lift, Mopar Heavy Duty Tire Carrier, 17" Method Race Wheels, and 35" BFG KO2 Tires just to name a few. 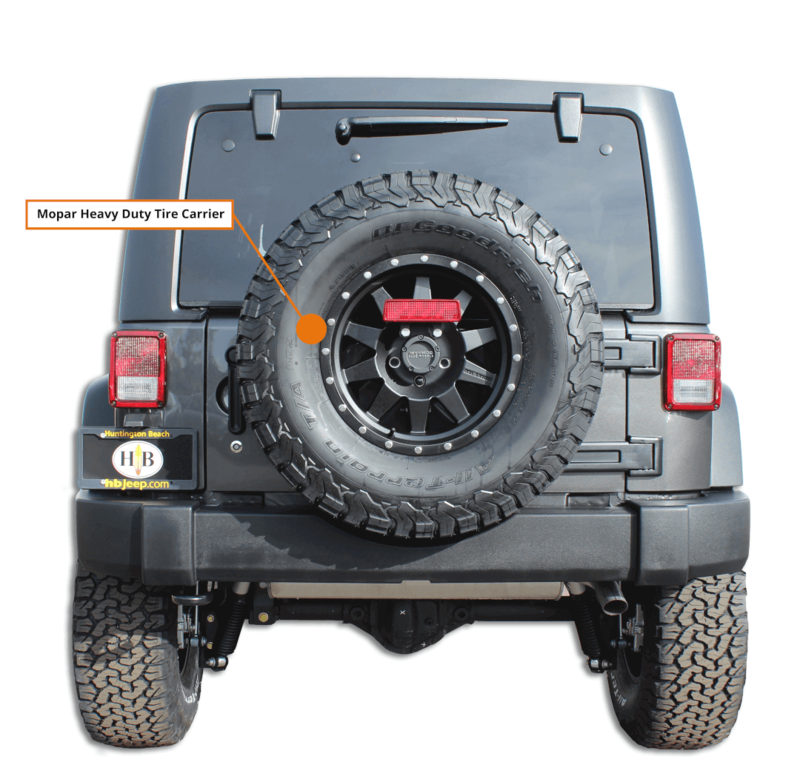 The Outer Limits package is only available through HB Off Road Performance!